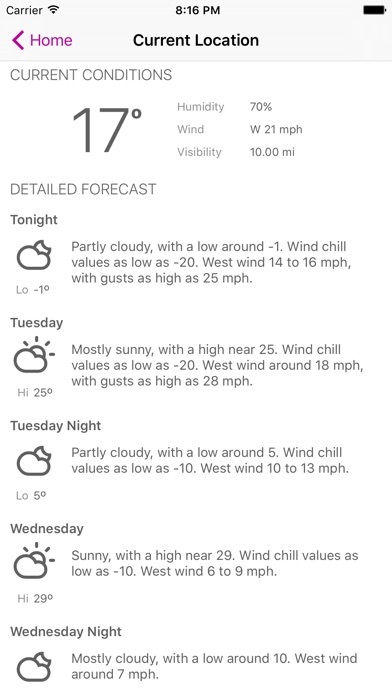 I like to read an actual forecast for weather and not see a simplistic layout trying to be mod with just icons and a lot of white space devoid of any details. A choice of a dark theme would be nice. 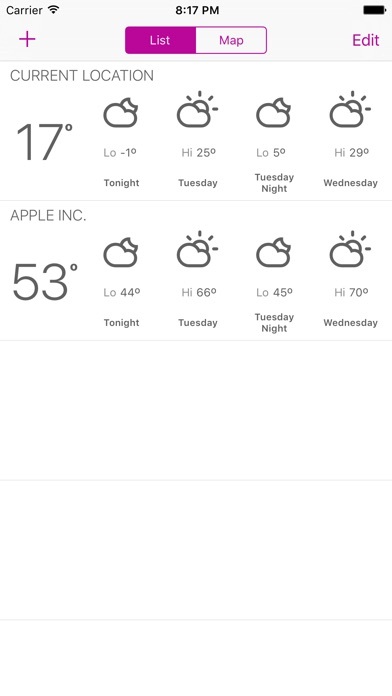 Need to add weather maps and alerts. So close to being a great program but not quite there. Description sounded good but app did not deliver. No maps, all text, no good. But I hope my $1.99 went to a good cause. Free weather apps all over the place are much, much better. Even my local TV station app is light years ahead of this. You can get the exact same forecast information by adding a bookmark to your Home Screen for mobile dot weather dot gov. Just click the "Detailed Forecast" button and you'll see the same text. And of course this app is for the U.S. only, the text is taken right from the NOAA weather site. 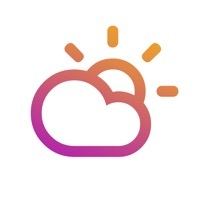 Every weather app in the App Store misses the mark on one level or another. This one is nearly what I've been looking for: simple, clean interface; summary at a glance and more detailed information at a tap. The interface to add locations is effective, too. 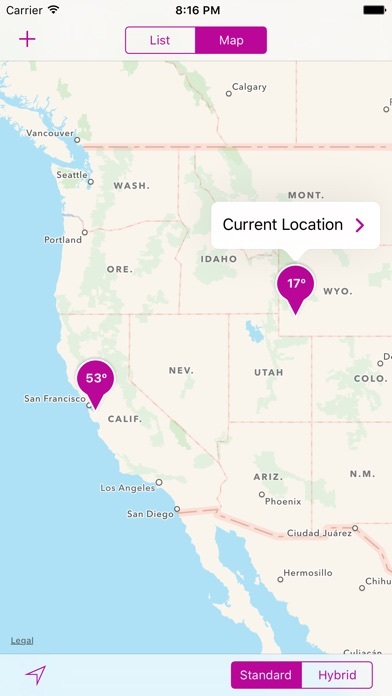 A few deficiencies keep me from rating 5 stars at present: no radar maps, no weather data for outside the US, and no options for push notifications for weather alerts. Add those, with a couple little UI tweaks and this app could easily be the perfect weather app I've long sought. Very fast and to the pont with great descriptions. Hopefully radar gets added and it will be a 5 star beast. This is a great app for accurate forecasts for the Mount Baker ski area. 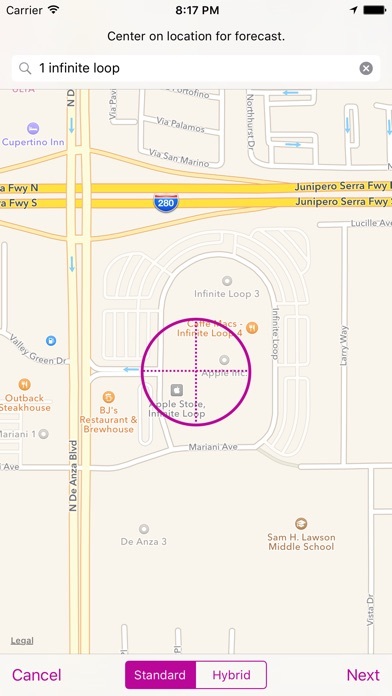 I love how the iOS version syncs locations with the OS X version. Well done! Nothing happens. Get map to select location, but no results. Great app! It has a clean and beautiful interface and is simple to use. The NWS has the only weather forecast I tend to trust in my area. Absolutely phenomenal job!